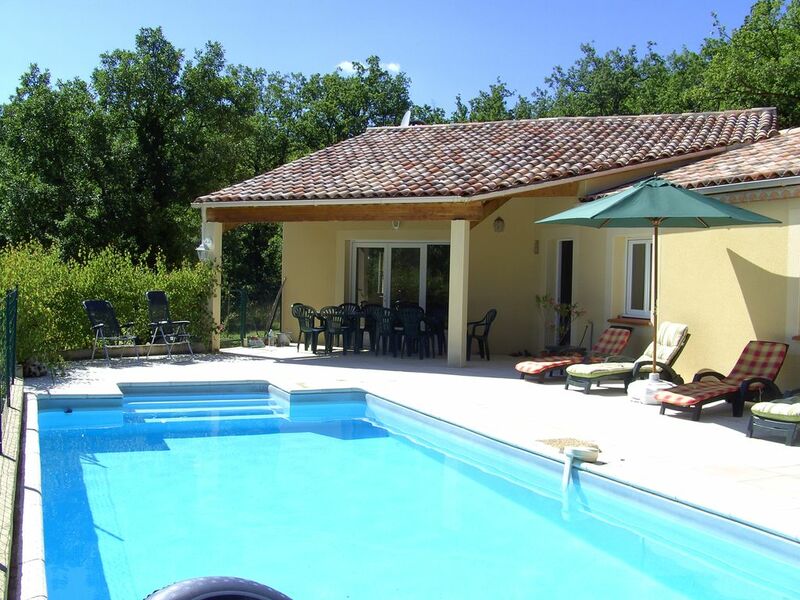 A beautiful modern villa built in the contemporary style of the region, set in two acres of wooded land in the unspoilt regional park of the Parc Régional des Causses de Quercy. A tranquil location only 5km from St Cirq-Lapopie, voted France's favourite village. The property is all on one level, designed to provide easy access around the house, terraces and pool. Comfortably accommodates extended families of up to ten while being cleverly designed to enable a couple to feel at home in its open plan design divided into dining and living areas.